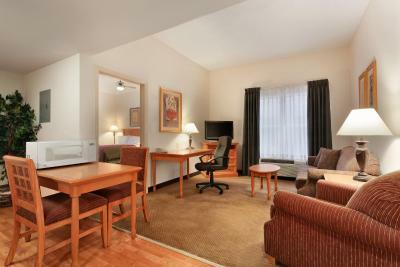 Lock in a great price for Homewood Suites by Hilton Colorado Springs Airport – rated 8.1 by recent guests! I loved this location. Everything was clean. The staff was knowledgeable and friendly. Highly recommended. Loved the full breakfast, the cleanliness of the facility and the roominess of the whole suite. Kitchen with full size refrigerator was welcome. Breakfast and light dinner. Location not surrounded by a lot of buildings. Staff was great from check-in to check-out. General Manager was very friendly and cared about our stay. Rooms had every item needed for our stay -dishes, pots, etc. even a grocery store that partnered with hotel to make deliveries. The person who checked me in was great and they serve a great breakfast. Close to airport. Good lobby & common area. Very good breakfast. Clean and comfortable hotel. Was happy with our stay. Breakfast was great. Staff was so friendly. Room was very comfortable. 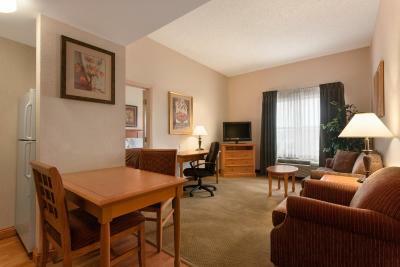 Homewood Suites by Hilton Colorado Springs Airport This rating is a reflection of how the property compares to the industry standard when it comes to price, facilities and services available. It's based on a self-evaluation by the property. Use this rating to help choose your stay! 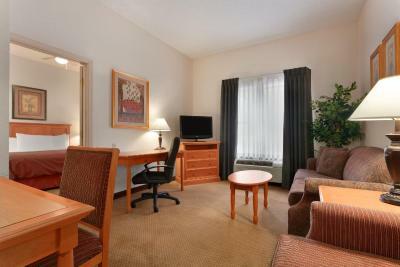 Experience the comforts of home, including in-room full kitchens, at this conveniently located hotel. 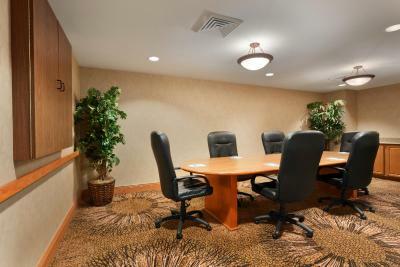 Ideally situated seconds from Colorado Springs Airport, this hotel offers spacious accommodations and modern amenities. 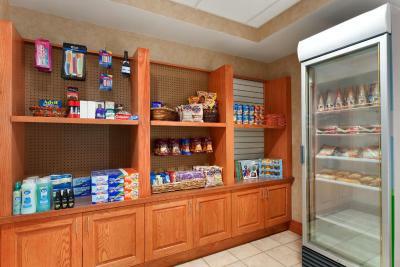 Start the morning with the Homewood Suites Colorado Springs Airport's free hot buffet breakfast, or enjoy a workout in the 24-hour fitness center before taking the hotel's shuttle to the airport. Relax in the evening with a free manager's reception, offering a light meal and beverages Monday to Thursday, or get refreshed in the indoor pool. 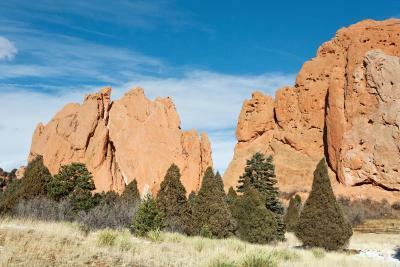 A variety of popular points of interest, including the Garden of the Gods, Pine Creek Golf Center, and the Rodeo Hall of Fame can be found close to the Colorado Springs Airport Homewood Suites. Spend the day with the animals at the Cheyenne Mountain Zoo or view breathtaking scenery from the top of Pikes Peak. 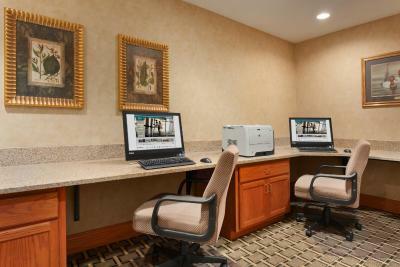 When would you like to stay at Homewood Suites by Hilton Colorado Springs Airport? This family room has air conditioning, microwave and tea/coffee maker. This suite features a living room, a kitchenette and 2 bathrooms. This suite features a living room and a kitchenette with a full-sized refrigerator, a dishwasher and a stove top. 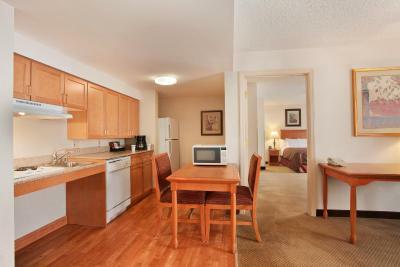 This suite features a kitchenette with a full-sized refrigerator, a dishwasher and a stove top. A private bathroom with a shower is also included. This suite features a kitchen and a private accessible bathroom. This suite features a kitchenette and a private bathroom with a roll-in shower. House Rules Homewood Suites by Hilton Colorado Springs Airport takes special requests – add in the next step! One child under 4 years is charged USD 10 per night when using existing beds. Homewood Suites by Hilton Colorado Springs Airport accepts these cards and reserves the right to temporarily hold an amount prior to arrival. They could have mentioned that the hot tub and pool were down before booking. After a long day at SkyView Fields right next door, we wanted to relax in the hot tub. Excellent breakfast and staff was friendly. Smell of cigarette smoke. Temperature of room hot. Bathroom not clean! Elevator couldn't be further away from front door. The only entrance is the main entrance. Most parking is away from front door. No view from our room. Hair dryer not powerful enough -- only blew cold to warm air. The sliding door to the closet had not been repaired and was off its track. The fitness facility was way too small and only had cardio machine and some medicine balls which I do when I’m hiking. A/C did not work in our room. Staff did not communicate well at all with us or each other. Did not have a replacement room but gave us a fan. The initial room assigned was not clean and still had other peoples soiled bedding/towels. The initial room was on a floor where kids ran up and down the hallway. The second room was on a higher floor, however, the kitchen area lacked the proper number of coffee packages. Overall, this was a very poor example of a hotel for a large chain. When I had to check-out of the original property I booked because I was having an asthma attack, this facility was available and offered me a Queen Suite, with a kitchenette, and a room that was actually non-smoking. With in about an hour or my asthma was under control and emergency diverted. 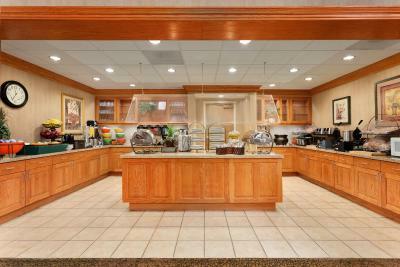 The staff were great, the full breakfast was delicious and I felt very safe as a single women traveler. We picked this place because it’s located within walking distance to the soccer fields we were playing at all weekend. No food close by. It’s out in the middle of nowhere. Room was advertised as pull out couch and we got a futon. Not comfortable or big enough for my 6’1” son. Maybe for kids but not big enough for an adult. Front desk staff was not helpful, rude to say the least. No manager on duty to resolve issues. We had a Nike sweatshirt taken from our room during cleaning and no one would help us. Told us to check with lost and found at 9am as the front fest has no access to lost and found!!?? What, how is that possible!? Filed a complaint regarding missing sweatshirt and were treated like we were the problem. They didn’t seem to care. Front desk service was unacceptable! Price for two night was outrageous for what we got! Won’t be staying here again.